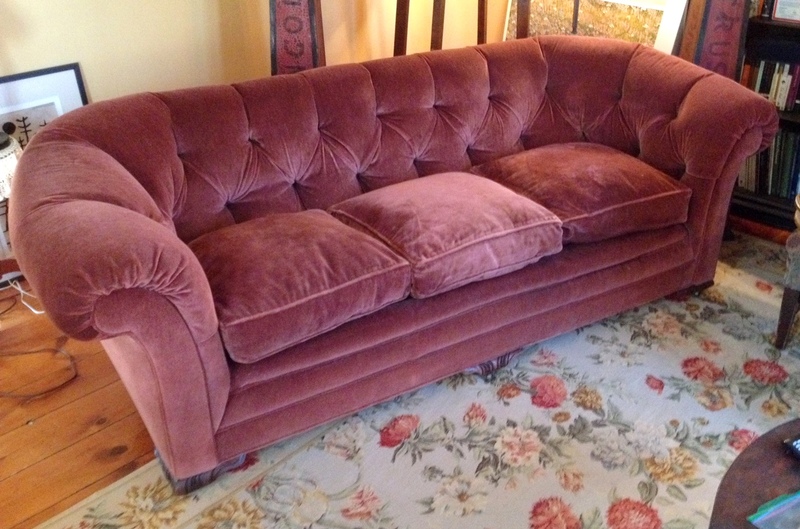 Very well made and in excellent condition, this traditional plush velvet chesterfield was was made in Canada sometime in the 1940's. It has been recently recovered in a top quality fabric and has down filled cushions. Very sturdy and clean. Ready to move in to your home. 94" long (2" short of 8 feet), 38" deep, 34" tall. If interested please call ahead to make arrangements to see this piece.